Hello and Welcome! My name is Shanna. I strive to embrace life with joyful enthusiasm and live with intention. I live in Southern New Hampshire with my pastor husband of sixteen years, Zach, and our three children (ages 10, 9, and 5 .) I graduated from college with degrees in Special Education and Elementary Education and have had the pleasure of teaching in many different settings on both coasts of the United States. Now a stay-at-home mom, I use my education when speaking to groups, in church ministry, and in homeschooling my children. For six years, I served as the Community Coach for the New England area with MOPS International. I am one of the dreamers, leaders and frequent speakers for Centerpoint Sisterhood– a monthly, intergenerational gathering of women in Salem, NH. My heart’s desire is to educate, motivate and challenge women to seek and know Jesus Christ better. I hope to inspire and encourage women to take steps towards positive change, help women find their identity in Christ, and equip people to use their God-given gifts and talents to live life with greater purpose and enthusiasm. This blog is a collection of thoughts and a place to share ideas. I write about topics of faith, community, homeschooling and leadership. I enjoy writing devotionals about the things that challenge me and things that inspire me to grow. 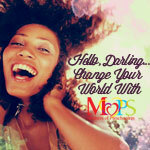 I am available to speak at your MOPS group, women’s events, parenting conferences, and leadership training. Please see my Speaking Topics page for more information. Thank you for reading. I would love to hear from you.